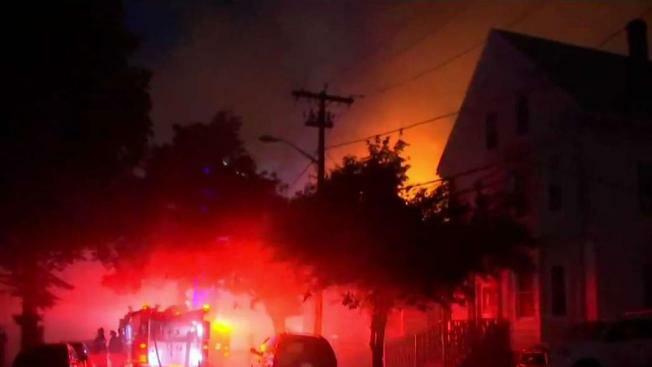 A home in Lynn, Massachusetts, was destroyed Monday night by a 3-alarm fire, and neighbors tell NBC10 Boston fireworks were to blame. Crews responded shortly after 8 p.m. to a fire at 35 Congress St. It spread quickly through the house. Fire officials have not named a cause, but multiple witnesses say fireworks were being set off. "I was actually sitting on my porch, and they were playing with Roman candles, and it bounced off the telephone pole and landed on the second-floor balcony," said neighbor Alysa Mercado. "Whatever was there caught on fire and it just went up." 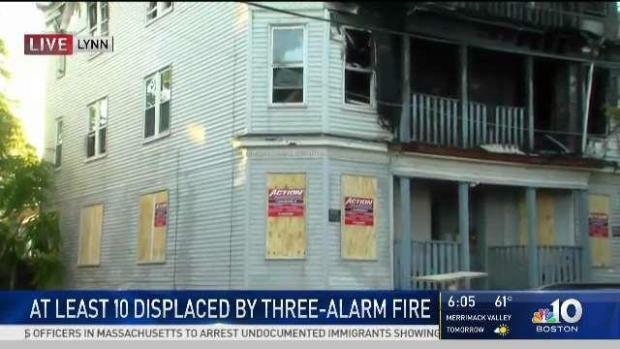 Fire officials are looking into leads that fireworks may have sparked a 3-alarm blaze that displaced at least 10 people in Lynn. Mercado watched it all, and she ran into the burning building. "My cousin was in there with her animals and stuff, and I had to run in there and help her grab them," she said. Mercado, her cousin and the animals all got out safely. But the damage to the building was extensive. Lynn Fire Captain Joseph Zukas said the exact cause of the fire remains under investigation but that fireworks remain a strong possibility. "I know in a lot of urban areas like Lynn, kids are lighting fireworks off and it's dangerous. It's very dangerous," Zukas said. If fireworks do turn out to be the cause, Zukas said charges could be filed. 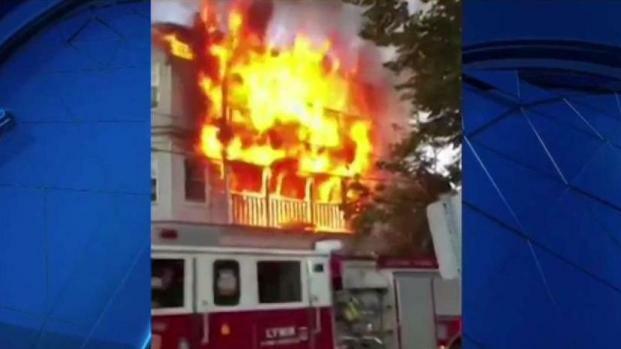 A home in Lynn, Massachusetts, was destroyed by a massive 3-alarm fire. Ten people were displaced due to the fire.